We now offer DIRECT TV in our enclosed air conditioned lounge on all our Full Day and Half Day Fishing Trips! Please call us, email or purchase tickets online by clicking the Buy Now button to ensure availability. 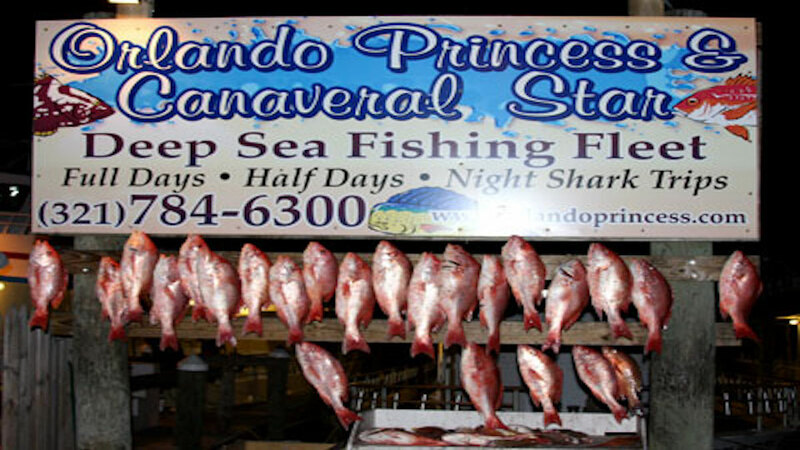 Our night shark fishing trips include Rod & Reel, Fishing Tackle, Hot Dinner, Cold Beverages, Florida Fishing License, Free Parking and Unlimited Baits. Book your night shark fishing adventure! Book a private charter for your next social or corporate gathering with us. Full days and half days available. You may charter the entire boat for up to 12 people. Book your event today! Deep Sea Fishing in Cape Canaveral aboard The Orlando Princess & Canaveral Princess fishing boats is available every day of the year as long as the ocean is not too rough. 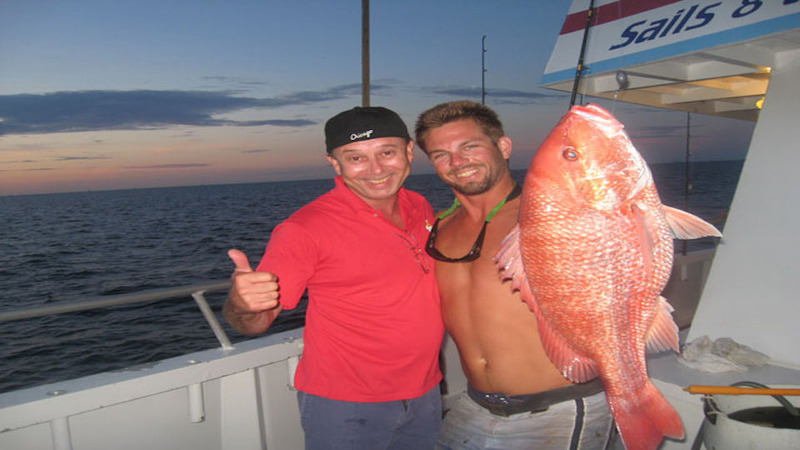 We offer half days, full days, night shark fishing trips & night snapper fishing trips. 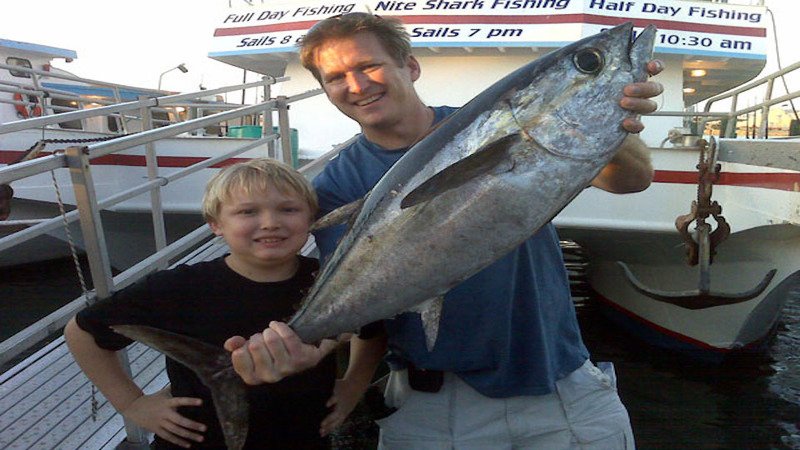 All of our deep sea fishing trips are fun for the entire family! We fish for Red Snapper, Grouper, Cobia, Sea Bass, Flounder, Mahi-Mahi, Mangrove Snapper, Kingfish, Amberjack, Sharks and much more. 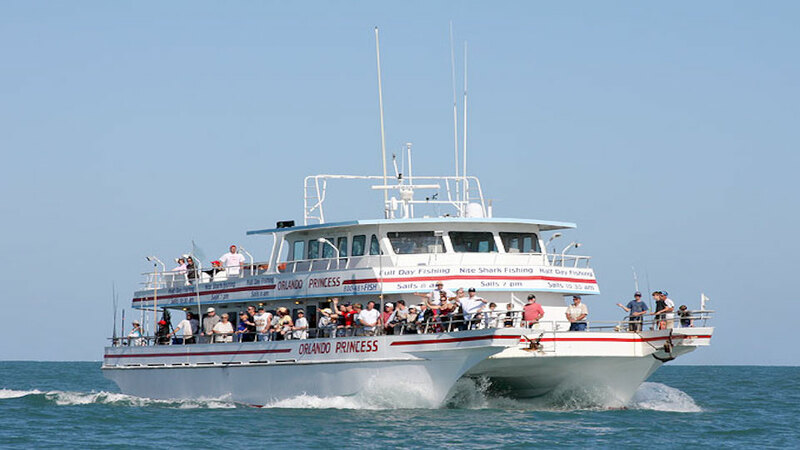 Please be sure to call, email or buy your tickets online to guarantee availability on the day you desire to fish with the Orlando Princess & Canaveral Princess. 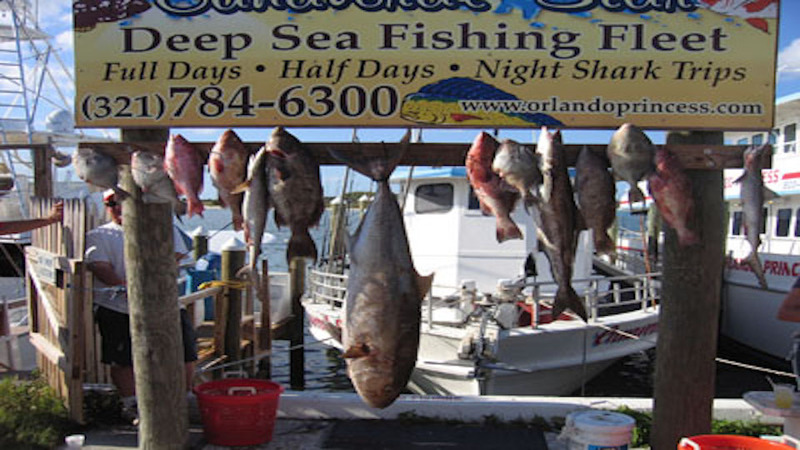 Cape Canaveral Fishing Charters available 7 days a week. 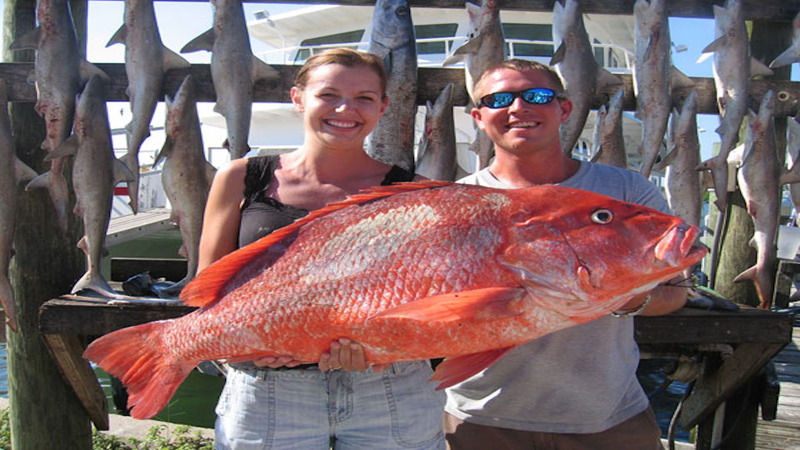 Experience the best Cape Canaveral Fishing with us.